Drew McKissick was elected State Chairman of the South Carolina Republican Party on May 13th, 2017. He is a Columbia, S.C.-based conservative political strategist with thirty years of experience in grassroots politics and a passion for teaching others how the system works and how to make a difference. 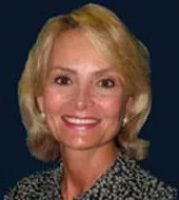 Cindy Costa was elected as the Republican National Committeewoman from South Carolina in May of 1996. She has attended six Republican National Conventions and served on the RNC Site Selection for the 2012 Convention. Cindy has been a Presidential Elector for three elections. She served as Vice Chair of the RNC Committee on the Rules, and as a Taiwanese delegation member. She currently serves on the RNC Executive Committee from the Southern Region. 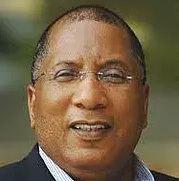 Glenn McCall was elected as the National Committeeman from South Carolina in May of 2008. 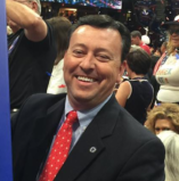 He has served on the RNC Resolutions Committee, the Rules Committee and was a member of the Committee on Arrangements Executive Committee and served as the Chairman of the Delegate Experience Subcommittee for the 2012 Republican National Convention. He has attended the past three conventions.